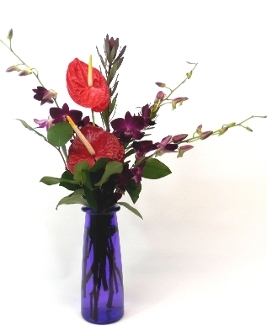 12 elegant roses with accent flowers and a variety of greens in a ruby red vase. If you prefer a color other than red, please make a note in the “Special Instructions” section on the checkout page. We will do our best to fulfill your request.